arcade fire needs to settle down. some dudes devote their lives to instruments, others to electronic composition by cpu, dafuqs yer problem? Wow. Deadmau5 is famous for his blunt way of saying things and his Ultra troll hit some other producers pretty hard. He does however have the fact that he does everything himself. No ghost producers, no one to mix or master for him, he does it all himself. In this day and age, for Arcade Fire to slam an entire music culture, it is just plain wrong. I won’t say it is the same as discrimination based on beliefs but it is certainly headed in that direction. You don’t have to like it, you don’t need to listen to it, but to attack an entire culture with a flick of a wrist is ridiculous. The uproar to Arcade Fire’s comments has been massive, with Kaskade responding with a reminder that at one point, rock and roll was not considered music either. 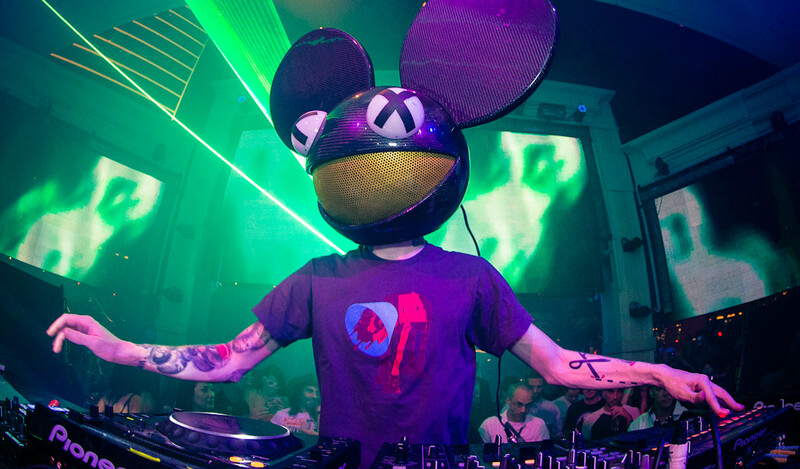 In response to Deadmau5’s twitter tirade, at a show in St. Louis, Arcade Fire displayed the iconic mau5 head onscreen while they played the ironic song “Normal Person” that begins with the lyrics “Do you like rock ‘n’ roll music?” This stunt happened Sunday the 27th of April and here is the Mau5’s reply to Beatport. While all of us fans are outraged by Arcade Fire’s statement, it is the producers who put their heart and soul into their music that should be the most upset. Music is defined as organized sound, with absolutely no mention as to how that sound is produced. Mastering a sequencer and synthesizer is by no means an easy task, just as mastering the guitar or drums requires thousands of hours of practice. It is great to see music genres come together to blend styles like when Linkin Park and Steve Aoki collaborated; but it is a disservice to the musical community at large when someone makes a comment about an entire other genre, dismissing it as noise or a joke. Electronic music takes talent and to say it has no influence on people would be outrageous, EDM is here to stay, and its fans will defend it until their last breath. Me included. Steve aoki and linkin park was the best collab you could think of? What about when deadmau5 remixed Foo Fighters and it played on rock stations? Or when Korn linked with Kill the Noise and Skrillex? I think it was just the most recent obvious cross genre collab that everyone knows about…. Spokk nailed, it. I wanted a recent collab that most of us have heard.